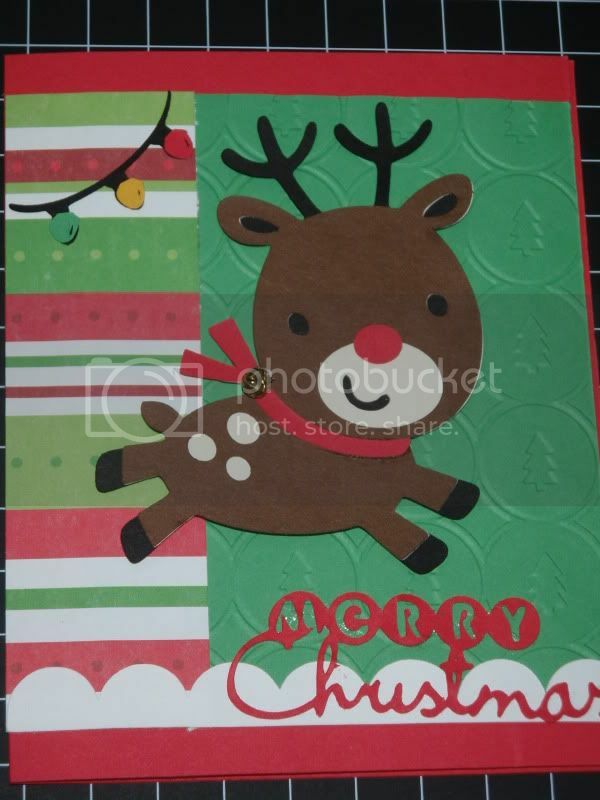 This card also features a popular image from Create a Critter. I found the jingle bells at a local floral supply store. Materials Used: Create a Critter, Holiday Cakes, The Paper Studio (Hobby Lobby's generic paper, I think), Cuttlebug embossing folder "Winter Trees," jingle bell.